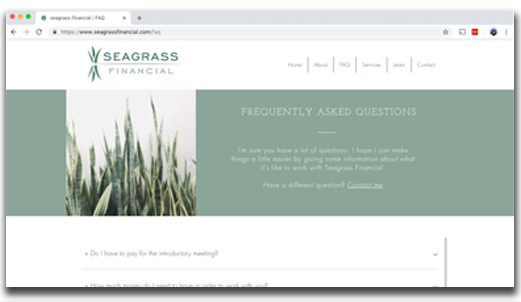 Seagrass Financial is a fee-only financial planning firm based in Portland, OR. 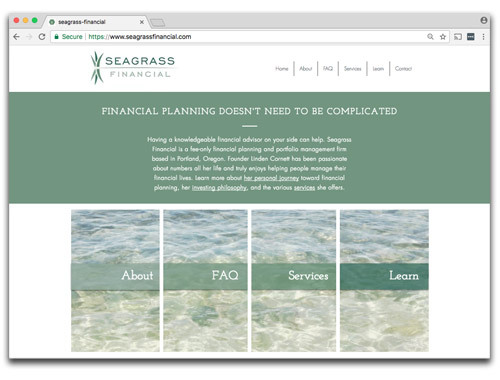 The client wanted their logo to set the general tone and color scheme for the firm's website. 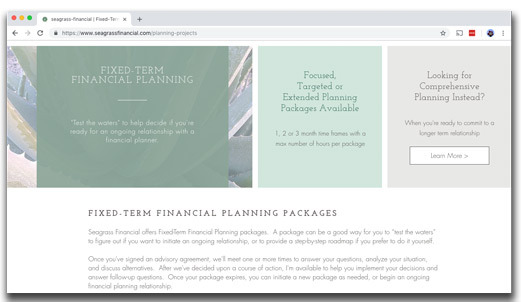 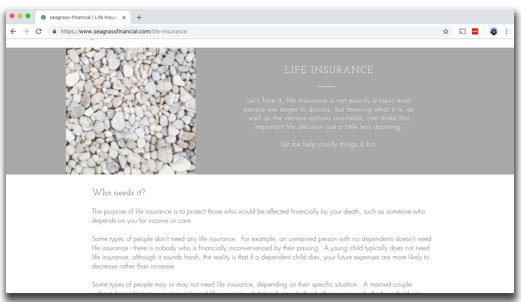 This site was developed using a Wix template, which allows the site to be updated and managed by the business owner.